Our Plant Information Manager, or PIM, has been used in factories all over the United States. It was created in 1995 by Kevin Kelly to supply Georgia-Pacific’s demand for much needed factory management. 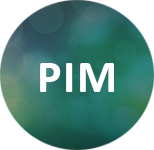 PIM’s facets include Sales Ordering, Warehouse Inventory, Database Managers, Raw Material Managing, and much more. Companies that have increased their business because of PIM like Republic Paper, Willamette Industries, Camstar Systems, Temple-Inland Inc., and more, all saw the potential for growth with this software from Kelly Systems. We still implement our software to manufacturers here in Central Arkansas. Just another way that we are simplifying your IT, even in manufacturing.